A plane bound for Athens is forced to spend 24 hours in Beirut after an engine failure. A member of the crew gets mixed up in transporting stolen goods, which brings him to the attention of a ruthless smuggler. It falls to the pilot to protect his friend from the criminal and his gang. 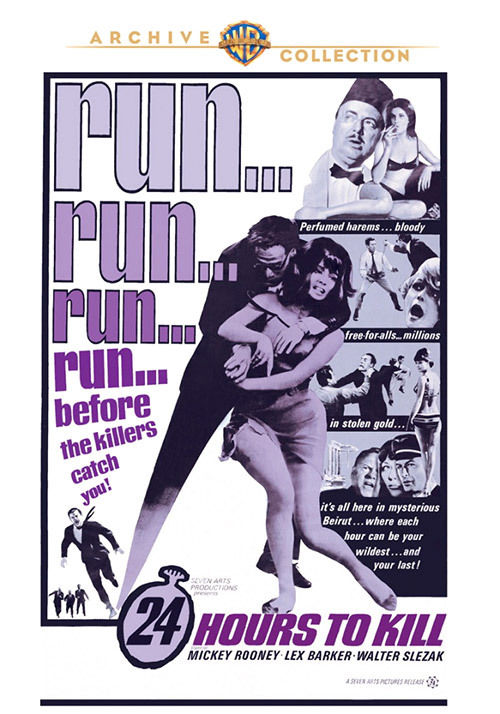 1 Response to "24 Hours to Kill (1965) Peter Bezencenet"
This is a great 60s B movie. I fully recommend this.